5 Difficult Interview Questions for Bank Tellers - Can you answer them? Clean and professional working environment, decent salary, and a position one can be proud of. No wonder that a role of a bank teller belongs to the most popular careers in the United States, and that dozens of people apply for each job opening in one of the major banking institutions. Actually, the situation does not differ much in any country of the world. 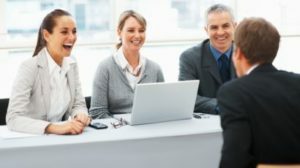 And since your working experience, or education, does not make a huge difference for the employer in this case, it will be your answers to their questions, and your ability to demonstrate the value you can bring to the bank, that will decide whether they hire you, or someone else for the job. Why do you think you are the right candidate for this position? Why did you choose our bank, and not one of our competitors? How would you convince the prospect to take a loan (or open an account) with us? Give an example of you dealing with an irate customer and what you did to fix the problem? Try to show them that you know what it takes to be a good teller. Demonstrate your listening skills, ask relevant questions, show enthusiasm for the job, and your understanding for the rules they have and stick to in the bank. Remember that they will provide you a full training, and you will learn how to handle the daily job. Bank managers know that they can train you. They know that they can help you to become a great teller, guiding you and teaching you. But they can not change your character, your personality–that’s why they put great emphasis on it, and try to hire people who have the correct mindset and attitude. If you can, learn something about their product portfolio, their values and goals. Show them that you want to work for them, and not just for any other banking institution. Doing your homework is crucial, and you should not underestimate the research you do prior to the interview. Banks try to differentiate from their competitors. And they love to hire job applicants who are able to recognize their uniqueness, and tell what makes them stand out. Below you will find five common interview questions for tellers, with a hint on how to answer each question. Follow the resources at the end of the article, to see more questions and answers. Interviewers try to find out if you understand the role of a teller, if you know what will be expected from you. You should focus on customer service and sales, on a good level of customer satisfaction, and your skills and abilities that will help you to deliver that. Tell us how you enjoy talking to people, uncovering their needs and desires, and matching them with products from our portfolio. Tell us about your interest in banking industry, about your passion for finance in general. Show us that you really want the job, and not just need it. Show us that you understand your position, our business, and why we exist on the market. Say that you like the working environment, and the way the tellers approach the customers of the bank. If you have an account with us, do not forget to mention it, stressing your satisfaction with the customer service (and with everything else). Tell us that you would be proud to become a member of our team. You can also praise our product portfolio, values and goals we stick to in the bank. Once again, a good research you have done prior to the interview will help you a lot at this point. 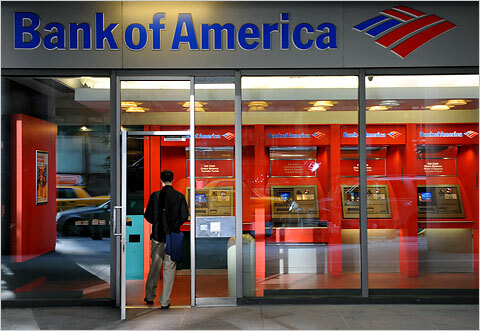 We should get the feeling that our bank is your first choice when it comes to new employment. Note: These tips are from an excellent eBook called Bank Teller Interview Guide, from Jacob Gates. Check the book for brilliant answers to twenty most common questions, a guide on how to ace a role play in bank teller interview, and some winning interview strategies. It can be either a question, or (and more commonly) a role play you will do in an interview. You will play the teller, and the interviewers will play the client. Try to uncover their needs with the set of targeted questions. Explain, in a simple langue which everyone can understand, how the product you offer will help them to achieve their goals, or to satisfy their needs. It is not an easy exercise, but once you see some good role play examples, and practice your talk with a friend, you should be able to deal with this tough (and often decisive) part of bank teller interviews. To say that you would accept their offer is probably the best option, since banks offer the same starting salary to every new teller, and they will not negotiate with you. Some banking institutions do actually have the figures on their websites, and you can find it in the careers section. Check it before the interview to learn more about the salary and benefits you will get, once you start working. A good teller stays calm and smiles at all times, regardless of what’s going on. You should be able to look at the problem from the perspective of a client, and get over bad words quickly. That’s what you should focus on when explaining a situation from the past. If you have no experience with irate customers, you can say what you would do if you met one in your job. Your attitude matters more than the particular situation you narrate. Jacob Gates, a reputable career coach from Cambridge, runs a website that specializes only in bank teller interviews. The website offers sample answers to eight common questions for tellers, and many other useful resources (both free and paid). If you want to ensure that you did not underestimate anything in your interview preparation, you should have a look at Jacobs’ website, and especially on his eBook, the Bank Teller Interview Guide. Alternatively you can continue your interview preparation with one of the articles on InterviewPenguin.com – Your best job interview coach since 2011. Follow-up letter after the interview – Advice on how to write a good letter (or email), with samples. Understand the most important sections on your follow-up letter, and make a final push towards a coveted job contract. Get a job with no experience – If you have no previous working experience (or only experience that is irrelevant), you can still land a decent job. You just have to know how to turn your disadvantage (lack of experience) to an advantage in an interview. Interview attire special tips – Some interview attire tips for the brave, and for people who like to experiment. Every detail matters, and the right choice of clothes can definitely help you in an interview.